We take a look at how 10 leading brands around the world are using the power of digital to attract more customers to enjoy new and creative in-store experiences. 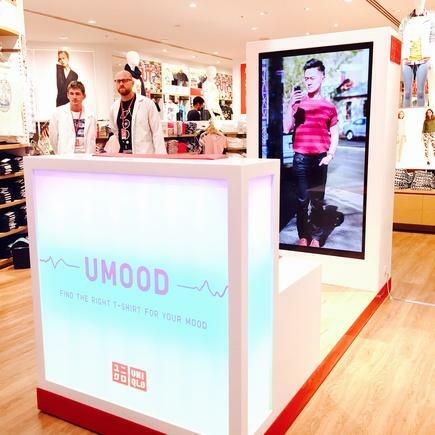 Last year, Japanese retailer, UNIQLO rolled out its first-ever neuroscience fashion campaign in Australia matching clothing selection to consumer’s moods. 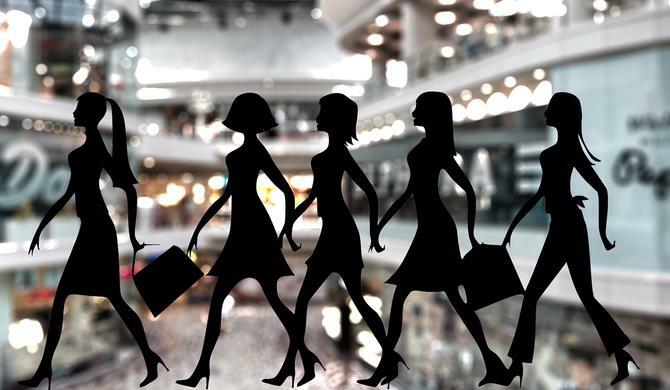 UK department store, John Lewis, has tried and tested multiple innovation tactics in order to disrupt itself and meet the needs of the modern customer-led, omnichannel environment. 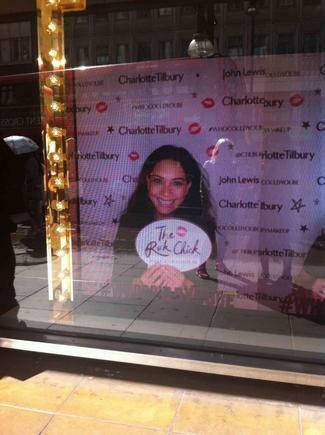 The retail group’s innovation manager, John Vary, was behind the in-store promotional campaign for premium international makeup brand, Charlotte Tilbury. His team helped roll out a creative digital gif booth and window installation so when customers had their makeup done, they could create a gif celebrating their new makeup look. Australian clothing retailer, General Pants Co, rolled out in-store interactive kiosks in a bid to bring together online and offline sales activity. They included a range of music, fashion and social media features such as ‘insta-opinion’, allowing consumers to photograph themselves wearing or holding up an item from the store then submit that photo in real-time for feedback from other kiosk users for a thumbs up or down. ‘Our picks’ showcases trends in clothing and accessories which customers can browse, purchase in-store, email to themselves or order from the Kiosk and shipped directly to their house. The ‘people’ feature include photos chosen by General Pants staff and customers of different looks, which have been shared across Twitter, Vine, Facebook and Instagram. Meanwhile, the ‘what’s playing’ function allows customers to choose what music track is broadcast across the store through Spotify. 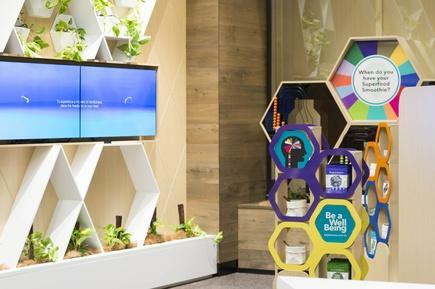 Australian vitamin and supplement company, Blackmores, launched a new neuroscience-based platform last year to track customer’s mindfulness to enhance engagement in its new Bondi Junction flagship store. Designed by digital agency, Holler, the new ‘Mindful Ocean’ technology detects brain-waves activity from an EEG headband. In the four-minute session of wearing the device, the technology platform reflects how the customer’s mind interacts between levels of relaxation and calm verses active thinking by way of some simple, stylised ocean wave patterns on a screen. Blackmores Australia and New Zealand managing director, David Fenlon, claimed the new ‘Mindful Ocean’ technology gave consumers the opportunity to assess their ability to find mindfulness, and as a result, begin taking control of their cognitive wellbeing. To vamp up its bricks-and-mortar store, UK retail chain, Marks & Spencer, introduced a virtual rail in its come-back Amsterdam store, consisting of 46 degree touchscreens where customers could browse options from its ‘eboutique’, check prices and watch a model wear the clothes. Customers could then place orders for free delivery in the store via iPads or on their own phone using the store’s Wi=Fi. 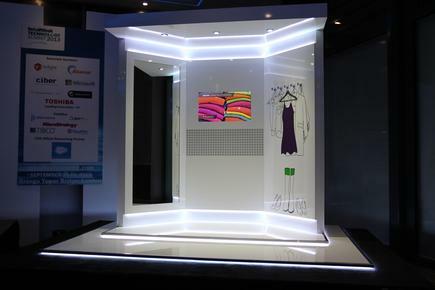 US retailer, Kohl’s, recently collaborated with tech developer, Avanade, to create a digitally interactive fitting room, where customers could try on clothes and accessories. If the size wasn’t quite right, consumers could use technology to request an additional size to be brought to them. They could also accessorise the item virtually, with scarves or bags, and visualise it all on the screen mounted within the room. In order to grab pedestrian attention on the streets of New York, clothing and accessory brand, Kate Spade, launched a 24-hour interactive window display allowing customers to browse items via a touchscreen display. Customers could then purchase any time of the day straight from the sidewalk, with purchased items delivered within one hour. The drink and food franchisee rolled out digital menu panels to its franchisee-owned stores in Australia, which feature animated drink and food offers that can be customized to attract certain patrons at different times of the day. 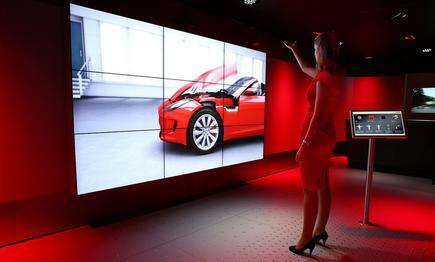 To enhance the luxury car experience, Jaguar Land Rover partnered with IBM to launch a new in-store virtual reality screen allowing customers to experience their own Jaguar or Land Rover model using sensory-based technology. Based around a 4 metre by 2 metre screen, the experience incorporates IBM analytics and Smarter Commerce Intelligence Commerce Experience technology as well as smarts from UK gaming company, Eutechnyx, and JLR. A consumer controls what they see and hear through an iPad and Microsoft Kinect sensory technology, and can choose the model, make, colour and features of a car. The experience also allows consumers to get into the car to check out interior features with a 360-degree view, and to make real-time changes. Augmented reality has also played an instrumental part in engaging John Lewis customers and generating positive brand experiences. As an example, the retailer’s innovation team joined forces with a tech developer to create an augmented reality app that used scanning technology to allow customers to visualise how furniture like a table or chair would physically look like in their home.